Congratulations To This Year’s Harold Green Scholarship Award Recipients! The Harold Green Scholarship Program demonstrates Greenwin's commitment to strengthening our communities through life-long learning. The program recognizes the achievements of the children of our employees and provides opportunities for them to achieve their dreams and career goals in whatever area they choose. Each year, we invite Greenwin's next generation to tell us about their dreams for the future for a chance to be awarded a $1,500 scholarship to go towards making those dreams a reality. 2018 marked the 5th year of the Annual Harold Green Scholarship Program, and we were blown away by all the amazing entries and worthy applicants. After much deliberation we were able to narrow the entries down and choose not one, not two but three winners! Sami will be attending Wilfred Laurier University in September to pursue a Bachelor in Psychology. Saara will be attending the DeGroote School of Business at McMaster University in September to pursue a Commerce Degree. Ariel will be attending University of Waterloo in September to pursue Life Sciences (Biology). 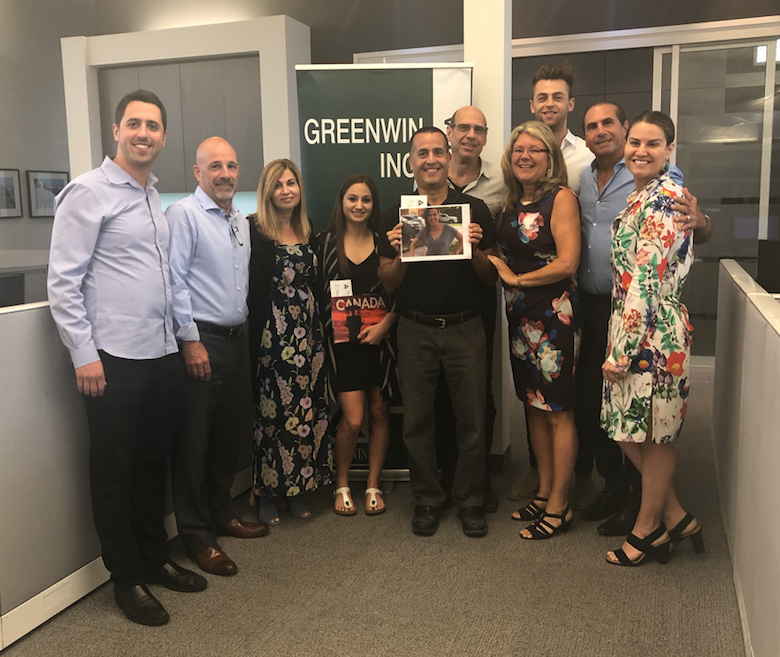 Congratulations from all of us here at Greenwin! We wish you all the best and can't wait to see what the future holds.